BSG Deadlock has been updated to version 1.0.41! Battlestar Galactica Deadlock - Dev Diary #8 "Not Done Yet"
“Yes.” Helena replied quietly. That was all the evidence the Praetor needed. Sam turned and left, smashed glass crunching underfoot. Words wouldn’t do either of them any good now. It’s been a while since the launch of The Broken Alliance and the Endurance update, and we wanted to stay a huge thanks to everyone who has bought and played the game recently. Seeing an influx of new players is very motivating to us as developers, and we are really excited to be able to continue to working on improvements and new features for the game. After each update, we always look at the feedback and requests, and use that information to inform what changes and improvements to work on next. We are already hard at work on a new update. The theme for the next update is increasing replayability. Battlestar Galactica Deadlock is a game of space battles at its core, and we’ll never move away from that as a focal point. We are looking at ways to make the random encounters, resource missions and skirmish modes more varied and interesting. Our aim is to make each battle be have a unique twist, so that no two battles are ever quite the same. We’ll share more details about how we will do this as we progress through development. We are also making some improvements to the tactics used by the AI. From talking with players and checking some of the autocam footage that has been posted online, we’ve seen a number of tactics develop. We hope that creating possible counters for the AI will increase the challenge and interest for veteran players. The Cylons will evolve. They have a plan. Until next time, keep your Vipers in the air, and the Cylons out of your kill slot! "One year ago today we released Battlestar Galactica Deadlock on PC. It was extremely well received both from the press and the players, and we're glad to see so many people enjoy it. Helena smiled, and held the old radio closer. “Then next time hire a competent quartermaster, and I won’t have to ride your supply ship.” The little jab felt good. Working with Sam like this, on something this important, was better. Even if it meant being cooped up in the radio control room of some research ship, while her big sister headed the CIC of an Artemis battlestar. For all of their years in service, this was the first time the Agathon sisters had worked together. Sam had always been traveling somewhere, doing classified operations for some organisation or other. And since Cain had transferred to Daidalos, Helena hadn’t had a chance to go planetside back home, let alone visit her nephew on Tauron. She wondered how little Zach was doing. “His father is looking after him,” Sam replied eventually. Short. Flat. The connection between them broke up. Helena sighed. That feeling of belonging quickly, quietly flitted away. She looked up at the low dirty ceiling of the Celestra’s radio room, and wondered how long before the next contact. Attention, nuggets! In today’s Developer Diary, we’re going to have a deeper look into the Environment Generator, the entity that is responsible for the procedural map generation in Battlestar Galactica Deadlock! In the singleplayer campaign of Deadlock, there are two instances where your environments are procedurally generated; during a resource mission, and a roaming battle with a Cylon fleet. Previously the generator only had asteroids and inert dust clouds to play with. With the new environmental hazards coming in the next update (see Developer Diary #10 - Hostile Environments), there’s a whole lot more for the generator to use and create interesting environments with. A number of factors are used by the generator to determine what is used to create an environment, and how it gets shaped. First, the generator looks at the location where the battle is located. If the battle is taking place over a settled colony, the environment will reflect a calmer, more civilised space, with inert dust clouds and network satellites. The further out from civilised space, the more dangerous the environment becomes with ionised nebulas and asteroid clouds. Over some colonies you may even find forgotten Imperial War era minefields! Additionally, the location determines the type of skybox used to surround the environment. Each of the four star systems, as well as Helena’s starlane coordinates, have their own distinct sky to differentiate where you’re currently battling. Daidalos in an environment from v1.0.41, and Daidalos in a new environment. Once the generator knows what to make the environment out of, it takes great pains to construct shapes and bodies that provide interesting gameplay choices, while providing a sense of scale to the battling fleets. The generator has been balanced to avoid blanketing an environment with hostile terrain, and provide both the player and the Cylon AI with new and interesting tactical choices to make. We’re also taking care to make sure that even with all of these updates to the mechanics and visuals, the game remains performant for our minimum spec players. And with that insight into our updated Environment Generator, we wrap up another Developer Diary. Stay tuned, as we’ll have news about this update and more in the coming weeks. In the meantime, keep toasters at bay and the colonies safe. So say we all! A siginificant new expansion for Battlestar Galactica Deadlock is launching later this month. Battlestar Galactica Deadlock: Anabasis introduces a new game mode, 11 new skirmish maps, four new munition types and 12 new resource missions. 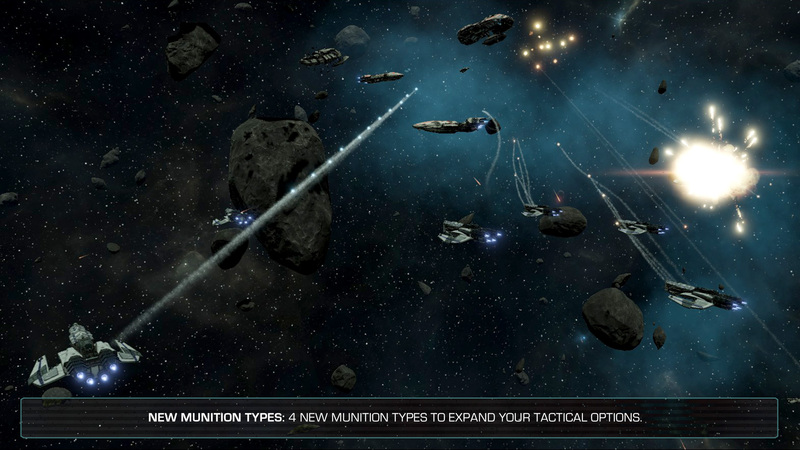 In the new skirmish mode, players will be in command of a single fleet, comprising of both military and civilian ships. Their task is to flee and survive while leading their soldiers and colonists back to Caprica. Players will be hunted relentlessly and find no reprieve. 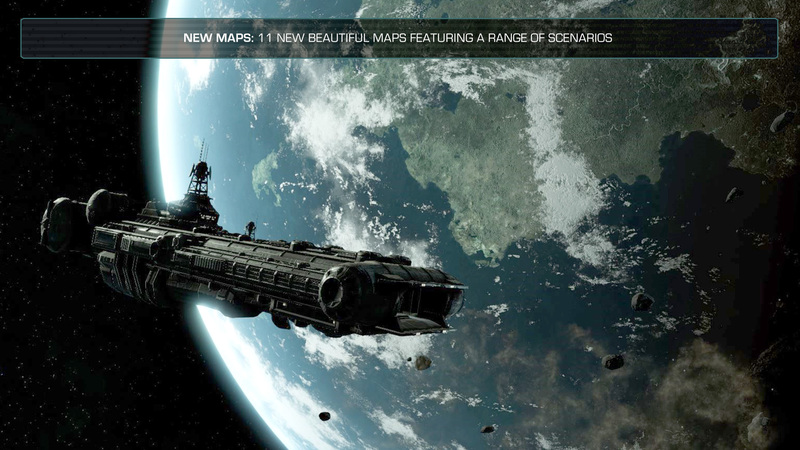 Resources will be limited, but players have the option to repair their ships and salvage resources after every jump. Each playthrough will be unique and completely randomized: players can choose the location of their next jump and every location will have a different set of potential bonuses and penalties. Players can customize their fleet, but they must remember: to flee is to survive, and time is working against them. The Cylons will keep coming. 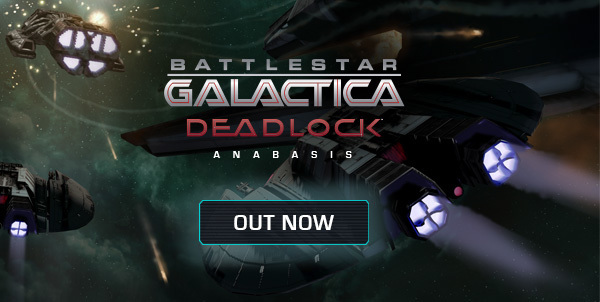 Battlestar Galactica Deadlock: Anabasis will be released on Steam, PlayStation 4 and Xbox One on October 18. So say we all! By now I’m sure you’ve all heard the news; Operation Anabasis is coming to all platforms on October 18th. With the new Anabasis survival mode, new munitions, new maps and missions, there’s a lot to take in! So today, we’re going to take some time to highlight a handful of the new skirmish maps and resource missions coming in the DLC. With the new Environmental Hazards coming in the the free Infinity Update (launches same time as Anabasis on October 18th), it was a great opportunity to create some new battlefields. There are 11 new skirmish maps, available to use in the single-player Skirmish Mode, Multiplayer modes, and also feature during Operation Anabasis. Some of the new maps will feature our new environmental hazards, like the turgid cloudbanks of Niflheimr, or the breathtaking anomalies of Scylla & Charybdis. Others will feature man-made hazards, like the Imperial-era Hedgehog minefields, or the satellite strewn wasteland in the aptly named Space Junk. 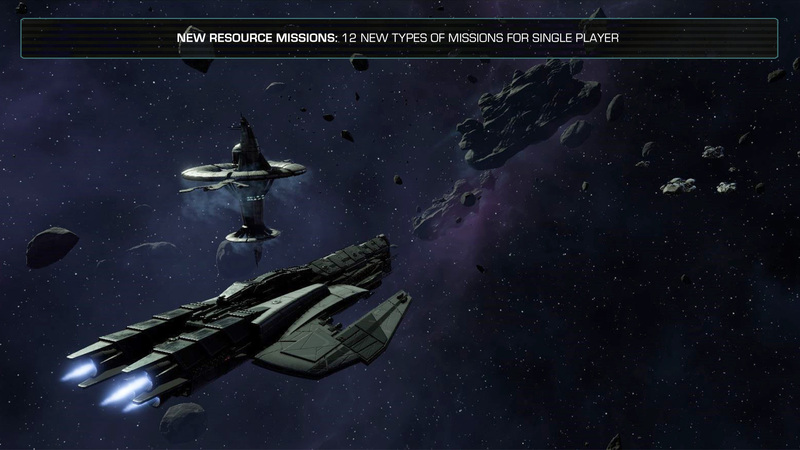 Also featured in the Anabasis DLC are twelve new resource missions. Not only do these resource missions provide new tactical challenges and insight into the lore of the Twelve Colonies, but they also offer a host of new rewards and bonuses for Colonial Fleet. Do you risk your fleet to save a Quorum trade coordinator’s nephew? You might earn a permanent boost to your income from the grateful colony. Or maybe you get the opportunity to take out a Cylon tylium refinery, which will temporarily slow the FTL cooldown of all Cylon fleets on the table. Sometimes it can be a choice between bettering your coffers, or sabotaging the Cylons for a moment of respite. We are really excited for you all to discover the new opportunities, big and small, available in Operation Anabasis and the Infinity Update. This is our biggest release yet, and can’t wait to hear your stories. Until next time, just hold one for one more minute; home is only a jump away. Battlestar Galactica Deadlock has been released to version 1.1.54. 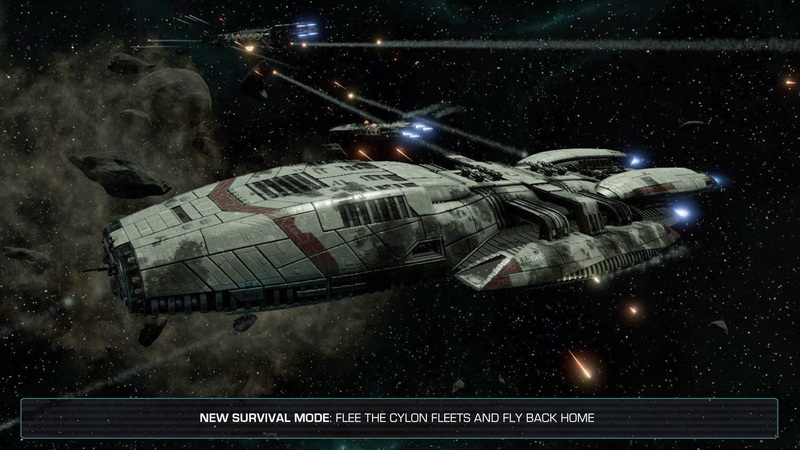 We are releasing a new update for Battlestar Galactica Deadlock, and its main feature is introducing new difficulty levels for the survival mode called Operation Anabasis. We received some feedback on the new mode, and although some players like the challenge that Operation Anabasis brings, others found it a bit too harsh. That's why the team has decided to introduce the option to set your preferred difficulty level when starting Operation Anabasis. As usual we do our best to read and consider all kinds of feedback, so don't hesitate to let us know how you feel about the game, our changes and future updates! The update is accompanied by a number of changes and tweaks, and you can read the full changelog in the post below. Stay tuned, there will be more news soon! Until then, we hope you'll enjoy the update and that now the game can provide the right level of challenge for everyone's tastes. Today we're releasing a new update for Battlestar Galactica Deadlock, bringing the game to version 1.1.55. Its main highlight is different difficulty levels for the Operation Anabasis mode. We hope they'll be to everyone's liking: please let us know how you feel in the forum as we do value your feedback. The update is accompanied by a number of fixes and tweaks, and you can read the full changelog down below. You can download the update from the Members' Area. 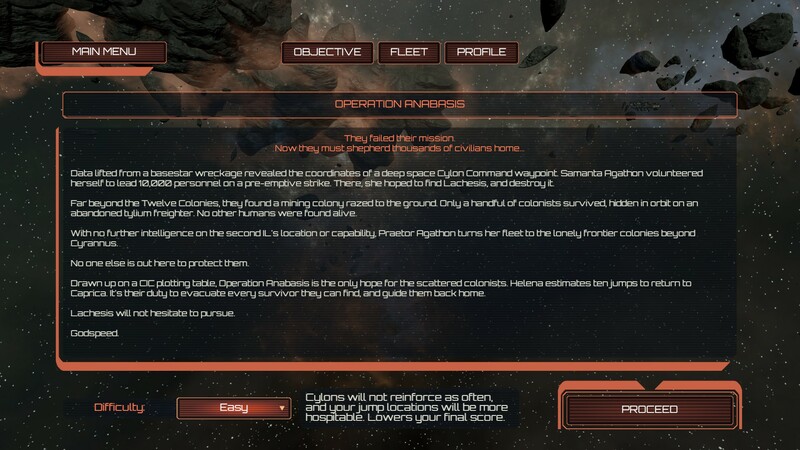 - Anabasis now has an option to set difficulty when starting a new operation. Unfortunately due to an unforeseen problem we are rolling back to the previous version, for now. We hope to be able to re-release the update soon! Stay tuned for further news. Sorry about this!